Dogma Systems, a GPS Software Development Company, is an inspiration which took birth in 2008 with the motto of keeping everything safe and informed. The business offers its clients a 360 degrees Fleet Tracking and Monitoring solution at the ease of using their mobile phone. We started our operation in Italy and now enjoying our presence in many countries and in India. Dogma Systems is a complete Software development company and we offer Fleet management and GPS tracking solutions to companies, schools, hospitals, hotels, taxi services, logistics etc. As a GPS software development company, Dogma Systems is committed to improving its offered services and products by listening to its customers and helping them evolving as better businesses. Dogma Systems has the development center in Noida, India. The Head office is in Ancona, Italy. The products offered by Dogma Systems are spelling beneficial for businesses and they are reaching to new heights. 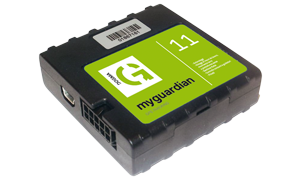 The Dogma Guardian GPS Tracking Solution is one of the most promising GPS Tracking device exclusively imported from Europe. The device meets all the safety guidelines by the controlling bodies, ensuring safety to the vehicle. We offer onsite installation of the device by trained engineers. We are committed to offer you best service without making an even small change in your car. Another widely used product of Dogma Systems is MyRent Management software, which is a Car Rental Management software used by leading Car Rental companies in the world. The mission of Dogma Systems is to analyze the market needs, developing software tools and technology systems that permit to achieve concrete results and realize the aspirations of people and companies. The company vision is to ensure that Dogma Systems can become a primary reference brand in the market, thanks to the focus of the core business and strategic levers of research, development, technology and innovation.